The privacy of your personal information has always been important to us. We are committed to protecting your personal information and respecting your right to privacy. Our dental practice is bound by the National Privacy Principles in the Privacy Act 1988 (Commonwealth) and any relevant Health Privacy Principles under State legislation, as well as other applicable laws and codes affecting your personal information*. Within our practice our staff are trained to respect your privacy in accordance with our standards, policies and procedures. Our privacy policies are reviewed on a regular basis. Our dental practice usually collects information directly from our patients, carers or guardians. This may happen when you fill out an administrative form (eg medical history form) or when you give us personal information over the telephone or counter, or through our website. The information collected may include your name, postal or email address, date of birth, health fund membership, medicare card details, health information or other information our practice considers necessary. In certain cases we collect your personal information from third parties. For example, we may collect information about your health and treatment from other health care professionals such as specialists or general medical practitioners. We may use or disclose your personal information to let you know about, and develop, products and services from the dental practice that might better serve your needs. For example, we usually send out a form of "patient reminder notices". You can contact us at any time if you no longer wish us to do so (see "Contacting Us" below). We aim to make sure that the personal information we collect, use or disclose is accurate, complete and up-to-date. We will take reasonable steps to make sure this is the case. This way we can provide you with better healthcare. you may suffer harm or other adverse outcomes. If you believe your personal information is not accurate, complete or up to date, please contact us (see "Contacting Us" below). Where we have electronic records systems or backups of our records it is possible that the practice may use a "cloud" storage provider located outside Australia. The practice will take reasonable steps to ensure that any offshore transfer complies with our obligations under Australian privacy laws. No intentional data collection is undertaken via 'secret' means on our website. In some cases we may be able to deal with your request over the telephone or over a counter. A signed consent form will be required to transfer your records to or from the practice. Our staff will assist you with the appropriate form. Although in certain circumstances we are required to collect government identifiers such as your Medicare number or Vet Affairs card number, we do not use or disclose this information other than when required or authorised by law or unless you have voluntarily consented to disclose this information to any third party. You can deal with us anonymously with a pseudonym where it is lawful and practicable to do so. We do need to be able to uniquely identify your dental records so you would be required to remember your pseudonym details. You are always welcome to speak directly to our staff and they will do their best to resolve your issue. Contact the practice principle owner. Practice contact details are located on the site. If your issues are not resolved to your satisfaction via a phone conversation please write and let us know. If investigation is required we will keep you advised of progress. If staff are unable to resolve the matter, it will be escalated as appropriate to facilitate resolution. We are committed to protecting and respecting your privacy on our web site. This policy statement explains how we collect information and how we use it. In general we do not collect personal identifying information about you when you visit our site. Unless you choose to provide information to us you can visit our site without telling us who you are or revealing other personal identifying information. The information we receive depends upon what you do when visiting our site. We do not, as standard practice, collect personal information through this website. If for any reason we do collect personal information through your use of this website the purpose of use will be explained on the web site. We may offer the service of collection of change of address information and personal information/medical history for new patients. This service may or may not be offered on this site. If offered it is only intended for people who have already made an appointment with the dentist and have been advised that this service is now available for this practice. Information sent via this web site will be via standard unencrypted email form unless otherwise stated. Unfortunately, no data transmission over the Internet can be guaranteed to be 100% secure. We cannot give an absolute assurance that the information you provide will be secure at all times. You accordingly do so at your own risk and we will not be held responsible for events arising from unauthorised access to your personal information. No information will be stored on databases within this web development for further use. The above information is used to develop statistics, which allow us to assess the number of visitors to the different parts of our site, discover what information is most, and least used, and help us make our site more useful to visitors. No attempt will be made to identify users or their browsing activities except, in the unlikely event of an investigation, where a law enforcement agency may exercise a warrant to inspect the Web Hosting company logs. This web site contains links to other sites. We are not responsible for the content and the privacy practices of other web sites and encourages you to examine each sites privacy policies and make your own decisions regarding the reliability and correctness of material and information found. Email addressees and personal information via the change of address or patient information form are emailed using standard protocols directly to the practices email address. The information is not permanently stored on a database associated with this web hosting company or developer. If you are worried about the sensitivity or security of your information please contact the practice directly by phone or when you next visit the practice. Any information collected by the dentist is viewable and changeable at the dental practice. 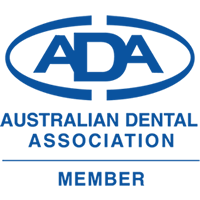 If at any time you believe we have not adhered to the principles referred to in this privacy statement or have any other comments on these principles, please notify glenda@smartdentist.com.au. We will not use or disclose any personal information for any other purpose without your consent. If we do, it will only be disclosed to someone else as required by law. At present this web site does not use any cookies on its site. A cookie is a small message given to your web browser by a web site server. The browser stores the message, and the message is then sent back to that server each time the browser requests a page from that server. A cookie will not store personal information unless you give this information. Most Internet browsers are set up to accept cookies. If you do not wish to receive cookies, you may be able to change the settings of your browser to refuse all cookies or to notify you each time a cookie is sent to your computer. This will give you the choice whether to accept a cookie or not. Please note that some browsers can be configured to allow cookies to be accessed by servers other than the originating server. Please feel free to contact us if you have any questions, comments or would like more information concerning how we handle information or any privacy issues. We are not responsible to you or anyone else for any loss suffered in connection with the use of this website or any of the content. This includes, but is not limited to, the transmission of any computer virus. We makes no warranties or representations about this website or any of the content. We exclude, to the maximum extent permitted by law, any liability which may arise as a result of the use of this website, its content or the information on it. Where liability cannot be excluded, any liability incurred by us in relation to the use of this website or the content is limited as provided under the Trade Practices Act 1974 (s 68A). We will never be liable for any indirect, incidental, special or consequential loss arising out of the use of this website, including loss of business profits or health or medical consequences. Some of the copyright in the content may be owned by someone else and is included on our website under a licence or agreement. You may only access and use the content for non-commercial or personal use unless you have prior written approval from us. You may print out any content on this website for your personal use. All other use, copying or reproduction of this website or any part of it is prohibited (except to the extent permitted by law). None of the content or any part of it may be reproduced on any other Internet website. If you seek to reproduce or otherwise use the content in any way it is your responsibility to obtain approval for such use where necessary. Our website is linked to other websites over which we have no control. We make no representations about the accuracy of information contained on those websites. We are not liable for the content on those websites.